Below is a guide we’ve created for the sole purpose of educating you on the various terms that go along with CCTV or security camera lenses. 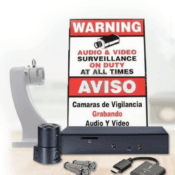 There are a lot of them, far more than are even described below, but it’s important because the lens is such a crucial part of your video surveillance system. Knowing which lens to choose can save you time, money, and will increase the likelihood of capturing exactly what you intend. If you already know the specs of a particular lens, try it out on our lens calculator to discover the field of view the lens is capable of capturing. 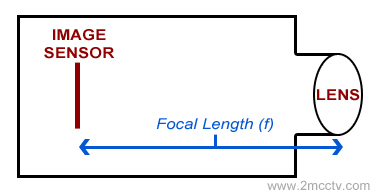 The focal length (measured in “mm”) of a lens determines how far the camera can see. The most common focal length on security cameras is 3.6mm, which will allow for roughly a 72 degree field of view (FOV described below). This particular focal length works well for residential or small office surveillance applications. If you can only learn one thing about security camera lenses, you should learn that the bigger the focal length, the farther away it can focus. The smaller the focal length, the wider the field of view. Field of View is the area, in width, that the lens will allow you to see. If you hear the term “wide angle” then it will have a smaller lens, like 2.8mm. This means just what it sounds like, the picture will be wider. With a smaller focal length details are also more difficult to see. If you are capturing video in a normal sized room, maybe 20x20ft, then a wide angle lens will work just fine. If you need to capture a person’s face, then you’ll want to consider something with a larger focal length, like 16mm for example. Monofocal lenses or “fixed” lenses can only focus at a specific distance… “mono” –> one –> one length! 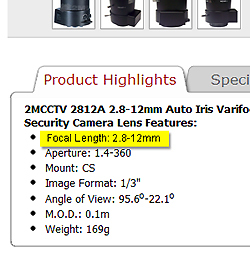 They will have one focal length, like 16mm or 3.6mm. They are generally cheaper than Varifocal lenses, which will allow you to adjust the focal length manually. Varifocal lenses will usually have a range, like 2.5-6mm or 5-50mm. Zoom lenses are similar to varifocal, except the focal length will adjust electronically, thus they are generally more expensive. We actually have a full article on this here. Zoom CCTV lenses are bit more expensive because, well, they’re better. They can automatically adjust focus to increase the definition on a given object. This is very similar to the choice between Monofocal and Varifocal, in that one is fixed and the other “varies”, and thus, is more expensive. The iris has to do with how much light is allowed to filter in through the lens. A manual or “fixed” iris lens is one you’d use if you are in an area where the lighting does not change, like an office. An auto iris lens will automatically adjust for light variations. You’ll probably need an auto-iris lens for outdoor surveillance. 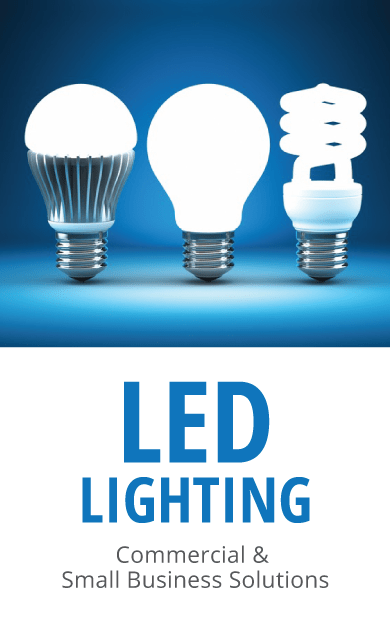 Also important for various lighting conditions, is the camera’s LUX rating. Here, we’re referring to the CCD image sensor of the camera. You’ll notice that most CCTV cameras list either 2/3”, 1/2”, 1/3”, or 1/4” for their CCD image sensor. This will affect your field of view. The larger the image sensor, the larger the field of view the camera has. For example, 2/3” will see more than a 1/3” image sensor will. Now, all of the above just applies to the camera, not the lens. For the lens, what is important to note is that whatever the lenses’ image format, say “1/3 inch image format”, is the maximum size it will allow. So for example, for a camera with a 1/2” CCD imaging device you would want a lens of 1/2” or bigger, or else there will be a ring on the outside blocking the outside of the picture. Aperture, measured in F numbers, is the camera’s ability to gather light. The lower this F number is, the larger the lens aperture will be, the more open your lens, and the better it will be at allowing light to pass through and onto the CCD image sensor. For example, if you see the lens has a low aperture of F1.2, then it will work well in low lit situations. Consider your eye, how your pupil will dilate or contract depending on how much light there is. If you’re in a particularly dark area, your pupil will dilate to allow more light so that you can see better. 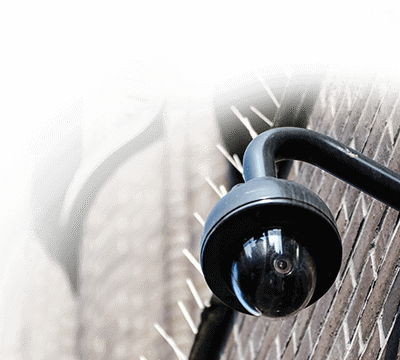 When mounting a lens to a CCTV security camera, you’ll have C or CS mount to choose from. Both the lens and the camera will specify which they are. Many cameras say “C/CS mount”, which means it will allow for either. The difference between the two is the distance between the image sensor and the lens…. Tip: Not having the right matching lens is a common cause for not having sharp images. The video and direct drive refers to auto iris lenses. To reiterate from above, auto iris lenses allow for variations in lighting conditions. 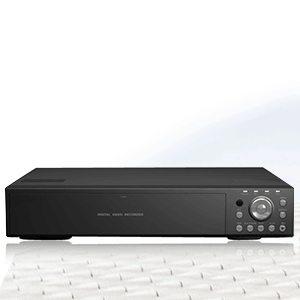 Video drive lenses contain amplifier circuitry that will allow the iris control to operate. Direct drive lenses will require the camera to contain the amplifier circuitry. Be sure to check the product options because some Direct Drive lenses can include an adapter that will convert it to a Video Drive auto iris lens. This is a good explanation of the camera lenses and why to select the different types. I also like to give clients a reference as far as how far away they can recognise a known person. Because this changes depending on the camera resolution, I have the following rule of thumb. With a camera installed at 2.3m height and a 3.6mm lens 1/3″ CCD 4CIF we can recognise a person we know at 2.5m from the camera. If we need to recognise them at 5m from the camera, we will need to double the focal length to 7.2mm (8mm in the real world). Alternately we could keep the wide angle lens but double the cameras resolution. So a 4CIF image is 704 x 576 pixels becomes 1408 x 1152, which is around 1.6 Megapixels. Did you notice that at 4CIF we were at 0.4 Megapixels and now we are 4X that? This has a significant impact on storage as we need 4X as much. Sometimes it is better just to install more cameras at a lower resolution. The image processing ability of your cameras is also important. While some new models like the GV – FER521 have a 2 lux rating, I have found that they can struggle in areas that have a mixture of light and dark spots , such as a big warehouse. I agree that it can be a better option to go for more cameras with lower resolutions in some environments. What do i need to look for in a PTZ camera for a correctional facility? Is there an industry standard for CCD and focal length for this type of application? Excellent and informative article. Well written and the visual aids are very nice. I thought Tim’s response was also helpful – thanks Tim! Very good explanation and understanadable. Usually I do not learn article on blogs, however I would like to say that this write-up very compelled me to take a look at and do it! Your writing style has been amazed me. Thank you, very great post. Thanks for your free class on “Lenses 101”. It was very helpful. I absolutely love your blog and find almost all of your post’s to be what preciseely I’m looking for. Does onee offer guest writers to write conrent iin your case? related to here. Again, awesomme site! hearing. Either way, great blog and I look forward to seeing it develop over time. its really really pleasant article oon building up new web site. youu spending some time and effort to put thiis short article together. commenting. But sso what, it was still worth it! I’ve learn sevveral excellent stuff here. Definitely worth bookmarking for revisiting. sort off wonderful informatijve site.